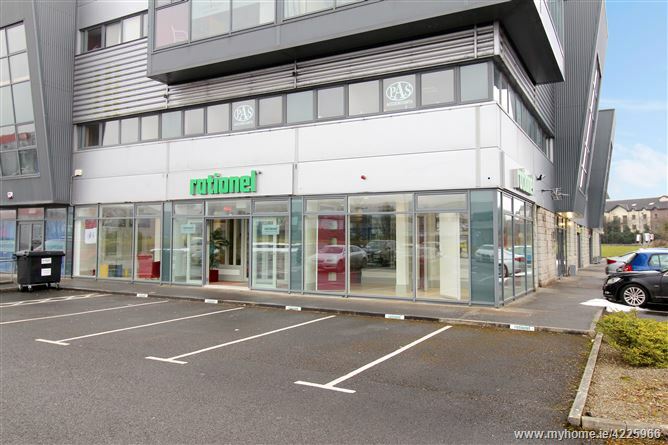 The subject property is located at Briarhill Business Park, approximately 2.5 miles east of Galway city, adjacent to all main arterial routes to and from the city including access to the M6 Motorway and N6 Galway / Limerick Road. Briarhill Business Park is situated adjacent to Ballybrit Business Park, Parkmore, Ballybrit Racecourse and Briarhill Shopping Centre. The subject property comprises a ground floor end terrace commercial unit forming part of a modern purpose built building, finished externally by a mix of glazed elevations and pressed steel cladding. Internally the unit is fitted out as retail showrooms. This property enjoys a good profile in Briarhill Business Park with estate parking provided throughout the park. We understand the subject property is occupied at a current passing income of €12,000 per annum. Tender documents are available from Mr. Conor McEvoy, Beauchamp’s Solicitors. Completed tender documents to be returned not later than 12 noon on Friday 11th May 2018 to Beauchamp’s Solicitors, Riverside Two, Sir John Rogerson’s Quay, Dublin 2 for the attention of Mr. Conor McEvoy. Please note the vendor is not bound to accept the highest or any tender.